With Kyrie Irving eyeing an exit in Cleveland, the Cavaliers are reportedly talking to Derrick Rose about joining the Cavaliers. Would he be a good fit? We examined. We all know by now that Kyrie Irving wants out of Cleveland, but there are rumors swirling about a different point guard wanting in. 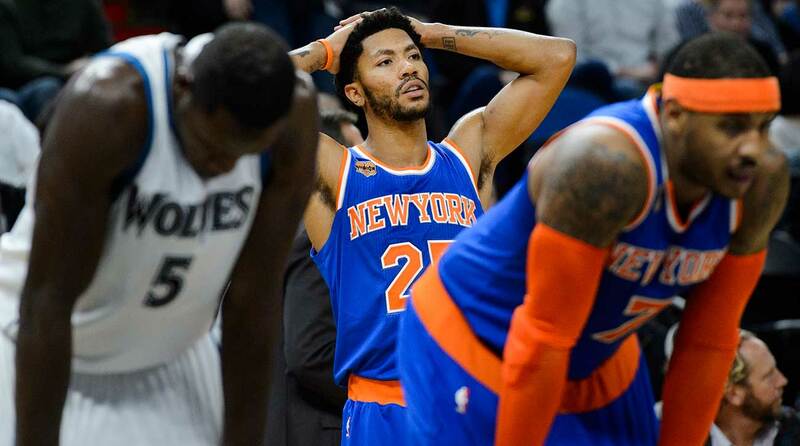 Reports are circulating that the Cavaliers are negotiating a deal with ex-Knicks guard Derrick Rose. In honor of the news, I took a look back at some of Cleveland's most recent free agent and trade acquisitions to assess whether or not D–Rose would be a good fit. In my extensive and exhaustive research, I noticed a few patterns in the types of players Cleveland is typically attracted to. Deron Williams has the same impact on the basketball court as a lifeless corpse heaped at the top of the key. But don't let the comparison fool you—if you want to play in Cleveland, you must prove to Dan Gilbert and Co. that you are in fact a living, breathing, sentient human being. Zombies are not welcome. This hoop might prove more difficult for Rose to jump through than most people think. His unaffected, dial–tone voice is jarringly reminiscent of an evil computer villain from a 70s Sci-Fi movie. It wouldn't be hard to believe that he’s somehow some sort of bionic cyborg, but there's no way of proving that yet. Beating heart: Check. This is an extremely important prerequisite for any possible future Cavalier. LeBron has put a premium on fostering a winning “culture” around his teams. So, bringing in players that have experience in the league is important to him and the Cavs. In fact, if you look at most of the players they've brought in since LeBron returned to Cleveland (Channing Frye, Shawn Marion, and Kendrick Perkins to name a few), you would think that “veteran know-how” and the ability to help “implement a culture” were the ONLY things he cared about. Offensive production? Not important. Actually playing in a real life game? It’d be nice, but not totally necessary. Rose isn’t exactly prehistoric, but he’s probably had more knee surgeries by age 28 than most geriatric patients, and that’s saying something. Old enough for the Cavs: Check. If you are still good, the Cavaliers most likely don't want you. 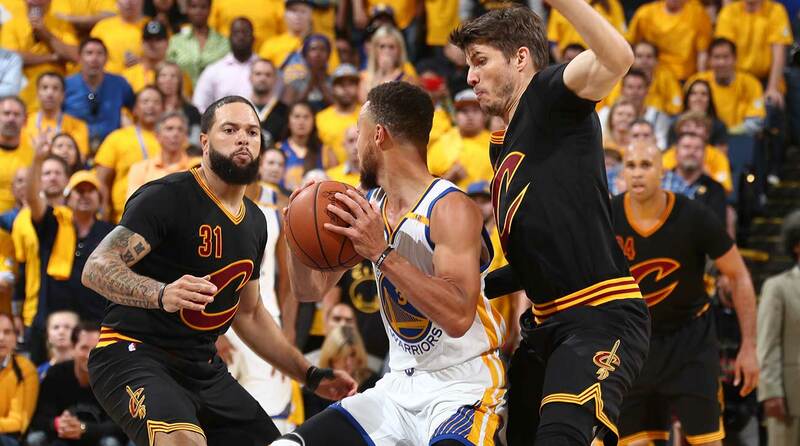 Deron Williams and Kyle Korver, the Cavaliers two late-season additions last year, are perfect examples for this. LeBron decreed the Cavaliers needed a "playmaker," so the Cavaliers watched some decade-old D-Will highlight tapes and decided he would be the perfect fit. He was not. If the Cavs needed a playmaker in 2010, he would've been perfect, but instead Williams played like all of his talent had been drained by the Monstars. This criteria has proven effective in the case of Richard Jefferson, a perennial candidate to turn back the hands of time and absolutely emasculate a superstar with a vicious posterization, but not with Deron Williams. With Williams seemingly out of the picture, and Rose six years removed from his MVP campaign, D-Rose seems like the perfect replacement. His glory days are just close enough that there's still hope he could rekindle some magic—but just far away enough that it likely wont' happen. Past his prime: Check! I'm convinced that when LeBron returned to Cleveland in 2014, the Cavs were so excited that they stopped watching basketball all together. Instead of scouting players and looking for talent, Gilbert just lets his son pick players for the team that he likes from NBA 2K (Deron Williams used to be pretty nasty in 2K...). For instance, the Cavs signed Mike Miller in 2014, the perfect embodiment of all of these criteria and the biggest no–brainer Cavs acquisition of all. He is experienced, far beyond his prime, maddeningly good in 2K, and by almost all accounts he is alive. He also meets a very specific sub-category that is very important to the Cavs: he's played with LeBron before. James has a very hard time disassociating the feelings of winning with a teammate in the past and building a team for the future, which explains signings like Miller, James Jones, Dahntay Jones, Mo Williams, etc. I'm convinced that if James had won with the Cavs in 2007, Zydrunas Ilgauskas would still be in the league. Which brings us to Rose. Despite a few injuries and mediocre seasons, Rose is still pretty filthy in 2K. If Gilbert’s son wants to poach him from the Knicks based on that, I wouldn’t blame him. Good in 2K: Check! I'd be hard-pressed to find a more ideal candidate for the Cavs to replace the disgruntled Kyrie Irving than D-Rose. He meets all of their criteria, and with Kyrie wanting out, it looks like they're about to need him more than they thought.